Description: About 25% Lecture, 75% Running and Skill Work, including a 2 mile (approx) slow-paced run through the beautiful trails of McKaig, stopping along the way to cover various topics. Stay after and run the trail on your own or with new friends! Gain confidence and learn everything you need to get started on the trails. 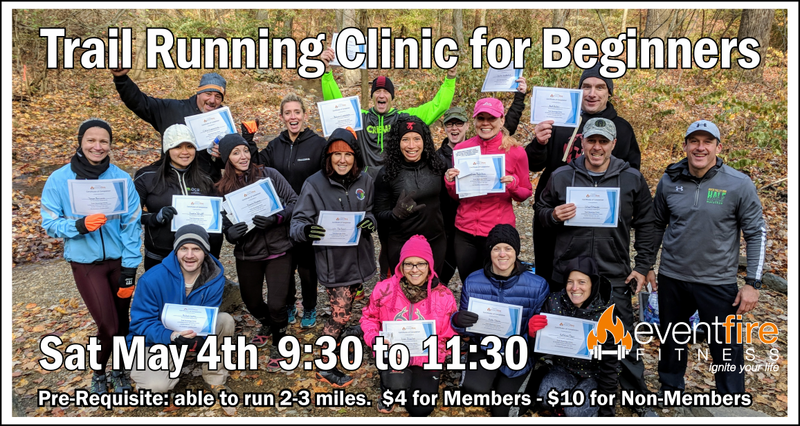 Whether you’re new to running or a seasoned road runner looking to transition to the trails, this is the perfect opportunity for you to learn the essentials. Join McKaig's race director, Karl Woodeshick of EventFire Fitness, as he covers all of the basics needed to ensure your trail running career gets off on the right foot. Dress appropriately…and feel free to stay after and test your new skills on McKaig’s 3.25 miles of beautiful trails!